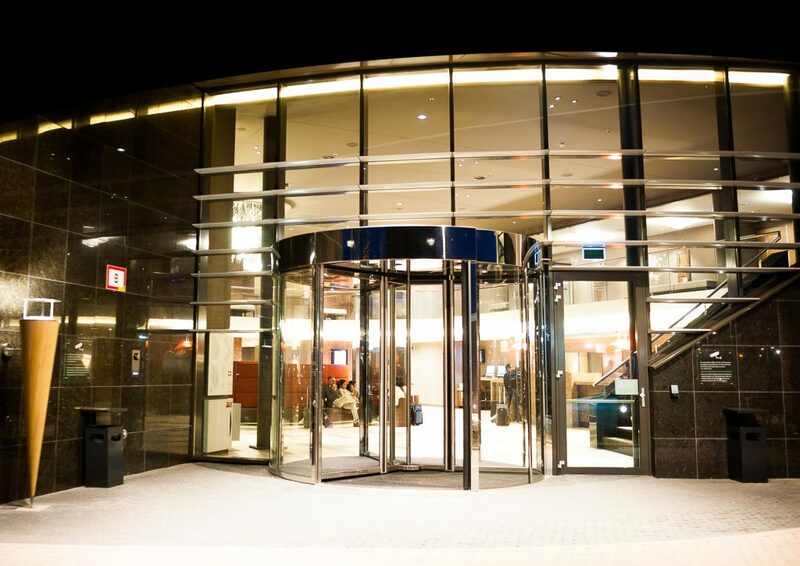 Hyatt Place Amsterdam Airport is the first Hyatt Place in Europe and leads the way in renewable energy. 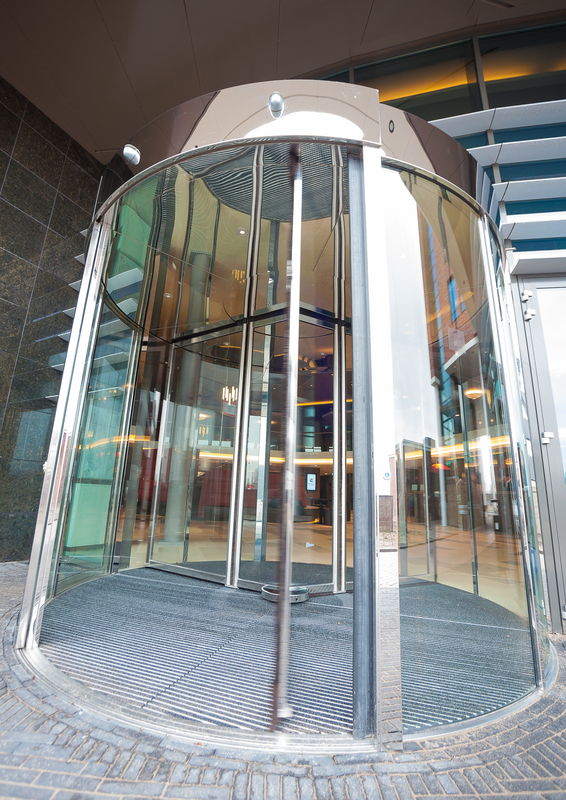 Bauporte was invited to develop the revolving door in the hotel. 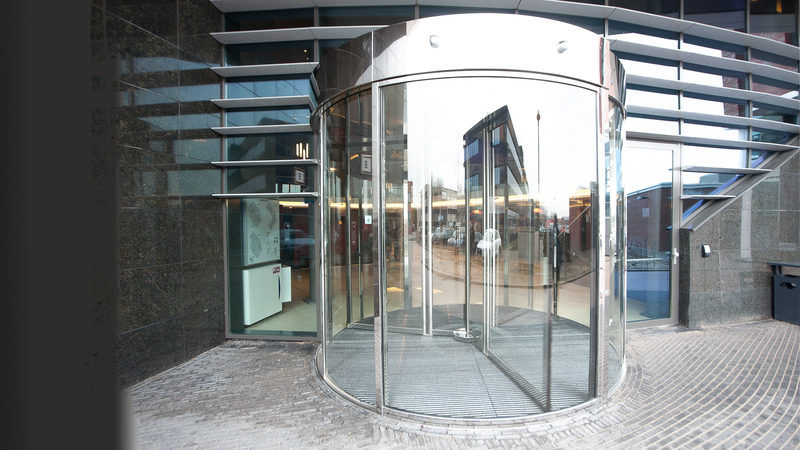 The curved glass walls, outside and inside, are made from a single sheet of glass. The door leaves are equipped with emergency exit wings that will collapse in case of an emergency evacuation. 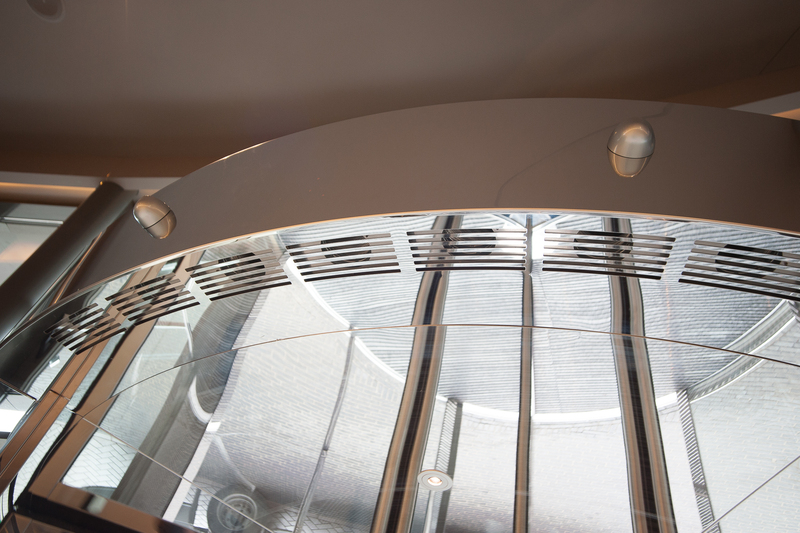 In the roof an air curtain prevents cold air to cool down the building inside. 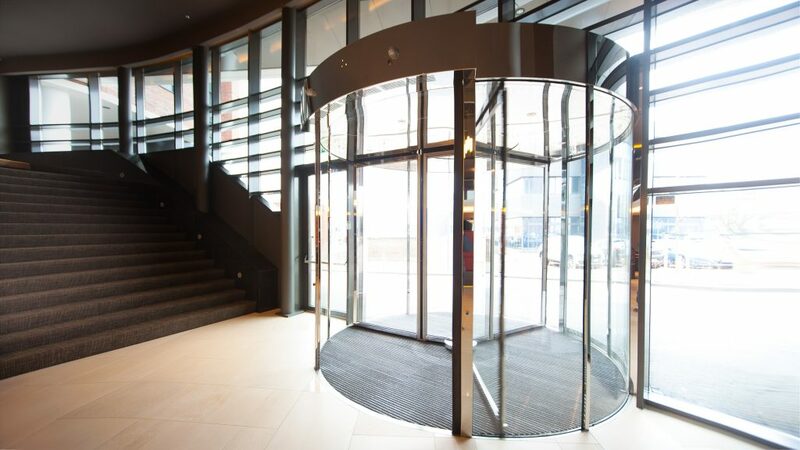 The Bauporte revolving door is a fully automatic door and complies with the BS 7036 standard, the German TUV and the European DIN.